This book's huge cast of supporting characters is considerably more interesting than its nominal stars, eBay's founders and senior management. To some extent that's unavoidable. How can anyone be more colorful than the Elvis aficionados and bubble-wrap entrepreneurs that inhabit eBay's virtual landscape? Yet readers may wish for a little more meat to the descriptions of those who built eBay into the leading online auction site. Cofounder Jeff Skoll and CEO Meg Whitman, MBAs from Stanford and Harvard, never come across as anything but one-dimensional. The most refreshing detail about Pierre Omidyar, eBay's other cofounder, is that before making his billions in the company's IPO he always knocked off work after eight hours. Unfortunately, with Omidyar the book descends into the usual hagiography of high-tech entrepreneurs. Cohen, a New York Times editorial board member and former technology reporter for Time, is much more evenhanded toward the hordes of eBay loyalists and more than a few detractors. Their zeal supports his claim that part of the company's market dominance is based on a sense of community. The company has carefully cultivated this perception, one of the book's most fascinating revelations. In the early days, staffers routinely sounded off on the site's bulletin boards using pseudonyms, even denying that they worked for eBay when asked. Cohen's quality of writing and research is above average for a high-tech tome. One wonders, however, if his insider access he claims to be the first journalist to be granted this at eBay makes him a little too nice to the principals. 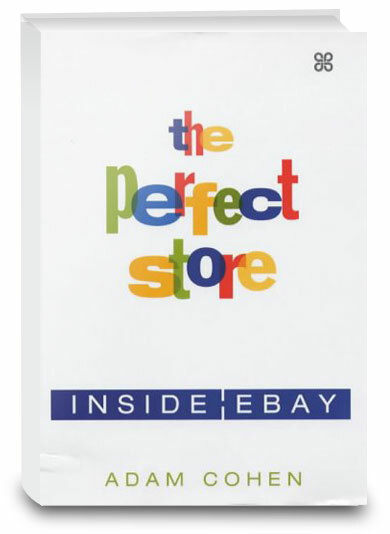 Click the button below to add the The Perfect Store: Inside eBay to your wish list.